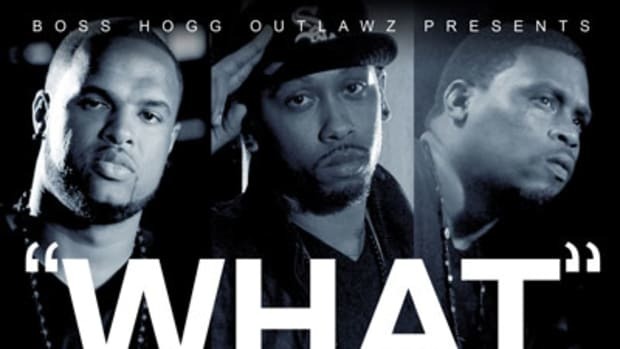 Last year, when Slim Thug introduced his Boss Hogg Outlawz to the mainstream nation, his second-in-command, Killa Kyleon, compared them to a “Chicago Bulls team with five Michael Jordans.” While their debut album, Serve & Collect, received positive reviews, words were not enough to help the project receive airplay or sales. With Thugga now on the same label (BHO/Koch) as the group, however, everyone is hoping for a better outcome with the forthcoming Serve & Collect 2. Well on their way, Slim, Kyleon, PJ, Chris Ward, Sir Daly, and J-Dawg carry on the proud Texas tradition of stuntin&apos; in their slab with no top; otherwise known as Ride With No Ceiling. Though a solid release date has yet to be confirmed by the label, expect the record to be available by summer’s end.